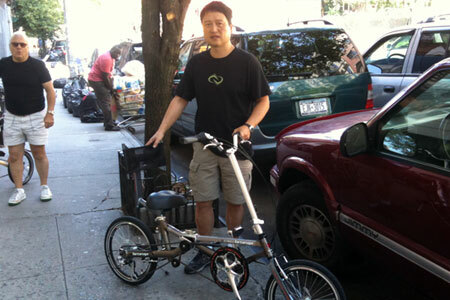 Owner of a folding bicycle shop for 8 years that carry quality folding bikes. In order to love something first you must take notice. So the Tartaruga is special it may be the only folding recumbent in the world. It not only folds but you can transport it by rolling it. Very comfortable ride unlike other recumbent it is more upright so more comfortable and safe to ride. Also the special back support can provide added power to the pedals for better energy transfer. Finally the maker Mr. Naotaka Yoshimatsu the quiet man behind the machine. His devotion and passion to the Tartaruga is amazing if you ever have the opportunity to spend time with him and his Tartaruga you can see him transform into a rock star! I have seen it! If you have a chance to see this bike in person and take it out for a test ride you will surely buy one for the fun of it.